Last edited by HCA Adoptions on Fri Jun 02, 2017 4:01 am, edited 3 times in total. I'm still around and still have a place for hermit crabs who need a home. I'm in Mojave, California (Kern County) but I can usually drive just about anywhere in the state if a crab needs me. I don't need any more set up tanks but I will take them if you just don't want to hassle finding a place to put them. You can find me on facebook https://www.facebook.com/ddisomma and I have a public photo album for my hermit crabs. You're welcome to take a look. Last edited by Dawn on Sat Jun 30, 2018 4:33 pm, edited 1 time in total. Currently, I have 10 PP in a 40 gallon tank. The tank has multiple water and heat sources plus an excellent misting system. I started crabbing about 35 years ago! Last edited by SanDIegoMermaid on Wed Dec 05, 2018 2:38 pm, edited 2 times in total. I can travel a little bit, my tank size is a 90 gallon with a 40 gallon topper, always changing or updating my crabitat because i really feel like whatever crabitat i do i am never satisfied, i don't hold my hermits unless i really have to either because i do know they can get easily stressed and that is never wanted, i also have a couple of 10-20 gallon tanks available if needed. Currently i have 8 hermit crabs. I have been crabbing for about 3 years. I can take any healthy hermit crabs that need a good home. If possible i prefer shipping and will help. Thank you for considering and taking your time to read! Last edited by madiem on Sat Jun 30, 2018 2:23 pm, edited 1 time in total. I live in Carson, CA and am willing to adopt hermit crabs. I have 36 Gallons tank and currently have 4 PPs and 4 Es. I can travel up to 30 minutes or possibly an hour depending on the days. I can be contacted by email. Thanks. Last edited by msthjk on Sat Jun 30, 2018 12:48 pm, edited 1 time in total. I live in San Diego near UCSD. I have been crabbing since 2013 and I just recently upgraded to a 160 gallon tank (I know, wow) for my 5 medium and 1 large PPs. If any crabs are in need of a home I definitely have the space and the experience! I probably would be able to borrow a friend's car to drive 30 minutes or so to meet up, and I do have to go to Spring Valley on occasion. Hello i live around Sacramento area in Elk Grove. I really want to save/adopt a hermit crab in need! I am willing to travel about 20 miles from my city. My zip is 95758. I have a 44-50ish gallon tank and im looking for 4 hermits. Message me if you have any i can rescue! thank you! 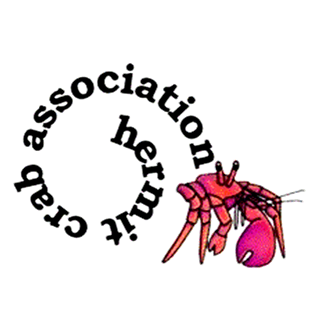 Hello, I've been a crabber for as long as I've been a member to HCA. I currently have a 40 gal breeder with a large ec and a medium pp in it. I also have a 20 gal tank I use as isolation or as temporary housing. I would like to add 1-3 more crabs for my tank, preferably one e and one pp but I'd accept any compatible species. I've got nice pools, tons of shells, lots of hiding spots. I can send you pics of the tanks if you're more curious. The two crabs I have I've had from the beginning. I've also rehabilitated other crabs that had missing claws and covered in mites. Unfortunately those ones passed after a couple molts even though they'd been able to join the others (likely PPS since they were from the carnival.) Anyway, I'm able to get to most of the bay area and some of the Central valley. I'd prefer not to drive more than 40 mins though. I am willing to drive several hours in any direction. I’m not comfortable with shipping. Last edited by Urchin on Sun Feb 17, 2019 8:46 pm, edited 1 time in total. I have 3 medium hermit crabs. My first was inherited from a classroom and two more I purchased as companions before I learned there were other crabs in need of rehoming. I have a 30 gallon tank and a 20 gallon tank, with plans of upgrading soon. I’m willing to drive 50 miles to pick up crabs in need of a new home. I'm willing to drive 50 miles!